1xBit Casino Review - Are They a Trustworthy Casino in 2019? If you’re looking for a world-class Bitcoin gambling brand that offers both a sportsbook and a casino product, 1xBit Casino is the right place to play. However, wait, there’s more! 1xBit offers you more Virtual Sports, Lotteries as well as Financials, all under one account. Bet Anonymously, enjoy very competitive odds and forget about transfer fees or taxes of any kind by creating an account with 1xBit. More than just a crypto casino and betting site, 1xBit offers live streaming for thousands of different sporting events, various betting markets and a plethora of online slots, table and Provably Fair games from all the top software provides in the industry. Everything is topped with an excellent first deposit bonus of “100% up to 1 BTC + 500 Points” and many rewards for existing customers as well. Keep reading to discover everything there is to know about 1xBit. No matter how good the services of an online casino or sportsbook are, players need to be able to access them easily and quickly locate all the essential features and sections that are of interest. 1xBit did a great job at building a user-friendly website that offers you instant access to all the extensive menus through buttons situated in the top part of the screen. Another function to boost the user interface is the one-click registration that gets you ready to play in just a few seconds, instantly generating a username and password. Regarding accessibility, 1xBit’s website was translated into more than 50 languages so that players from all over the world can enjoy a high-quality betting experience in their native tongue. Due to all the changes in gaming regulations and different countries applying their own rules and laws when it comes to online gambling, certain territories become unavailable even to the most successful betting companies. That’s the case for 1xBit as well, and players from the United Kingdom and the United States of America are unable to enjoy the services of this online casino and sportsbook. As previously mentioned, all the critical sections of 1xBit are easily accessible from their homepage and the “Promo Button” is an excellent example in that direction. Here you will be able to discover all the fantastic bonuses and promotional offers that 1xBit runs for the casino or sports betting. Current exclusive welcome bonus is “100% up to BTC + 500 Points“. Use the code “PRIZE” bonus code to grab your extra 500 points on top of your 1 BTC welcome bonus. Terms and conditions apply, and the details can be found in the promo section of the site. A good betting company knows how to take care of its new players, and that is what 1xBit does with their massive bonus on the first deposit. 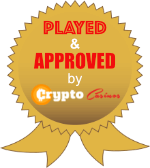 A “100% bonus up to 1 BTC + 500 Points” is available for all newly registered players upon making their first deposit on either the casino or sportsbook products. Just because new players are spoiled with such a good bonus, it doesn’t mean that existing players are forgotten or get less-advantageous bonuses. They also have a wide array of offers available to boost their winning chances and increase profit. A perfect example to back up that statement is the “Beat 1xBit” promotion that offers a 100% bonus up to 10 mBTC to all customers that deposit at least 1mBTC into their accounts. Another promotion that brings many rewards to players is the one that actively gives bonus points for the placed bets, on top of any regular bonus that you may claim. Yes, you read that right, any bet you place will be rewarded with bonus points that you can convert into cash rewards (500 points give you $10) or use in the “Promo Code Store” to unlock exciting bonuses and promos. Different bonuses and promotions have their detailed wagering requirements or instructions on how to convert rewards into cash that can be then withdrawn. All the information is transparently displayed on the promo page, and you will always be able to check your progress as you go. A very cool feature regarding withdrawals that separates 1xBit from other casinos and sportsbook is the fact that you won’t have to go through a complicated KYC procedure when you select a withdrawal. Withdrawals are processed promptly, and you won’t have to worry about any fees or taxes. Everything you win will be transferred back to your account, in the selected Cryptocurrency. No matter how qualitative the services of an online casino are, players will always need to be able to contact the casino regarding different issues. During the gambling and betting process, many inquiries may come up, and that is why you need a professional customer support team to take care of things correctly. 1xBit handled this aspect excellently by providing a 24/7 live-chat and email support feature. Besides being available 24/7, the customer support department prides itself on being accessible in over 30 languages. As mentioned in the introduction of this review, 1xBit offers utterly anonymous gambling and betting experience in a high number of cryptocurrencies. The blockchain technology standing behind the cryptocurrencies ensures a high level of security that is also backed up by the latest SSL-encryption. Regarding fairness, all the 1xBit games and slots are audited by independent companies and, even more than that, you can enjoy a wide range of Provably Fair games that have a unique built-in technology allowing you to see how every bet result is randomly generated. Another thing that adds to the increased security offered by 1xBit is the fact that you won’t have to go through the ‘Know Your Customer’ procedure when you select a withdrawal. Therefore you will not ever have to send personal documents or information. If you are looking for diversity in online slots and table games, 1xBit is the place to be. Teaming up with over 30 software providers in the industry, like EGT, Betsoft, Pragmatic Play, Amatic or Play’n GO, 1xBit offers over 3000 different titles of online slots. You can enjoy all types of slots, from classic ones up to the most recent launches in a multitude of paylines, reels and exciting bonus rounds and free spins features. The table games offer just as appealing with dozens of different varieties for the most popular table games in the industry. No matter if you’re into Roulette, Poker, Blackjack, Baccarat or Craps, you will have plenty to choose from at 1xBit. The Live Casino feature is an excellent choice for any table game player, offering the enjoyment of an online casino game with a live dealer to make everything more entertaining and give you a genuine feeling. More and more players choose to access their favourite casino games and sports bets from a mobile device due to the mobility it brings and the fact that they can access their favourite games and bets everywhere they are. 1xBit developed their very own dedicated mobile apps for Android and iOS users and for those that have a different phone Operating System, a fully adaptive mobile website is available. The mobile site offers the same features as the desktop one while being very easy to use from any Smartphone or tablet. As previously mentioned, 1xBit is a fully crypto casino and betting site, meaning that you will not be able to use traditional currency to make deposits or withdraw your winnings. If you’re interested in becoming a 1xBit partner, you can do so extremely easy and quick. Merely visit 1xBit website and set up a partner account. As a 1xBit partner, you will enjoy weekly payouts, BTC commissions, a personal account manager and a 24/7 access to support. Transform your website traffic into revenue by being a 1xBit partner right now. After going through all the relevant sections of this online casino and sportsbook, I can conclude that it indeed offers one of the top crypto betting and gambling experience. Everything from the website design, functionality, fairness and number of slots or betting markets is carefully analysed and developed by the ones in charge, providing a world-class experience for all players that have an account with 1xBit. Don’t take my word for it, create an account and feel the 1xBit experience yourself! You will going to thank me later!